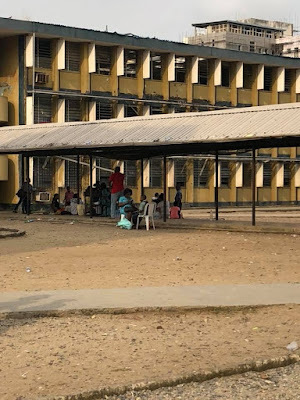 One of Nigeria's foremost and oldest secondary school Kings College Lagos is in the news for the wrong reasons. 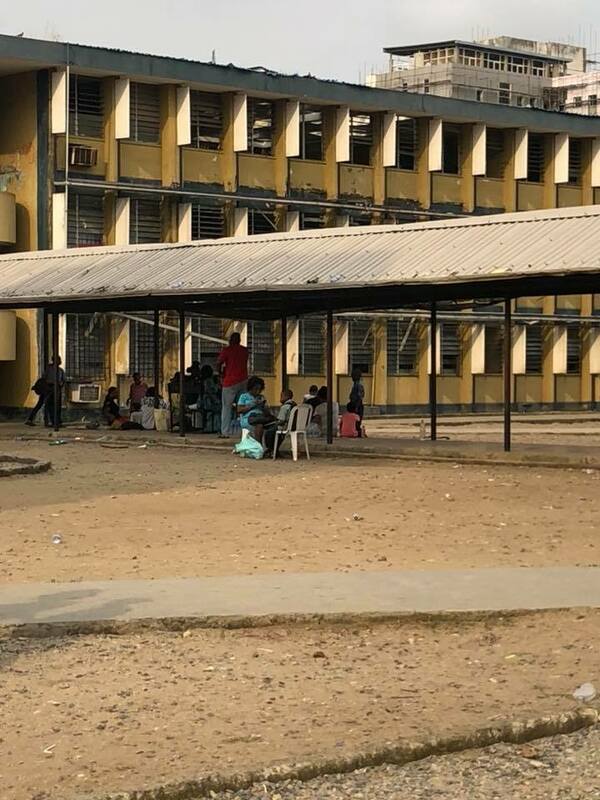 The ones prestigious Federal Government owned school that has produced several successful Nigerians is now a shadow of its old self if the information reaching CKN News is anything to go by. A foremost architect and husband to late Afrobeat legend daughter ,Yeni Kuti ,Architect Theo Lawson posted this pictures and comments about the school on his social media wall. Where are the Old Boys of Kings College? On Sunday I visited a ward at the school annex in VI and was shocked at the state of the facilities. The school does not provide potable water for the students; many of them between 11 and 15yrs, collect water from the bathrooms; that is after the few bottles of table water or sachets brought by parents on visiting days have run out. The toilets are filthy and reminiscent of those we saw at the Police college Ikeja recently. The classrooms are pigsties with broken roofs and windows and cater to 50 or more students per class. The atmosphere brings to mind an IDP camp supported only by the bi-monthly visits of parents and guardians. 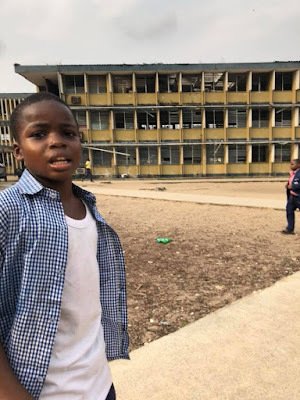 I am sure the situation in the main school beside City Hall cannot be any better going by the look of the ‘new’ and old dormitory buildings visible from outside the premises. This is an alarm call to all stakeholders the save the children we are exposing to peril; in Nigeria today with new outbreaks of Lassa, Cholera, Polio etc, the adage ‘Cleanliness is next to Godliness’ pales into insignificance as this is a matter of life and death. Lest we forget the horrid stories from Queens College in recent years.. Please do not say this the Government’s responsibility; yes it is, but we all know that our children have never been their priority... So sue me! !